We’re all familiar with the internet and broadband has become a mainstay in many people’s lives. However, as computers and computing products become more mobile, especially with tablets, people are wanting to be able to stay connected to the internet whilst they’re out and about. Mobile broadband enables you to send, receive and download information using the web in the same way as home broadband, except through a mobile network. The huge advantage of using a mobile phone network for your internet access is, unlike the broadband you usually get at home, your internet connection moves with you. You’re not tied to a desk and you don’t even have to be indoors to go online using mobile broadband. You have the freedom to stay connected wherever you are. There are 3 ways that can be used to access the internet on the move and cater to any of your mobile internet access needs. Perfect for connecting your wireless tablet and other wireless devices. Mobile Wifi, also known as Mi-fi, is a pocket-sized wireless device that allows you to create your own secure Wi-fi hotspot wherever you need it. Connect multiple wireless gadgets to the internet on the go. Simple to set up and use, with no wires or software to install, enjoy carefree surfing anywhere, anytime. Perfect for connecting your laptop. Ideal for Laptops & Netbooks. 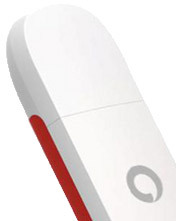 A mobile broadband dongle plugs straight into your laptop or netbook and allows you to access the internet on the go. Perfect for connecting cellular tablets and notebooks. Ideal for devices like Tablets and iPads with SIM card slot. Choose a SIM only internet plan, for your tablet, iPad or device with a SIM card slot, and get online to catch up with the latest news, watch films, check your emails and more. 3G is the most widely used mobile data technology in the UK. 3G is great for general internet browsing and checking emails and better for low usage. 4G is very good for advanced mobile services such as video and movie streaming. This offers much higher speed up to 60Mbps. One important consideration when making the choice between 3G and 4G technology is the coverage available in your area. 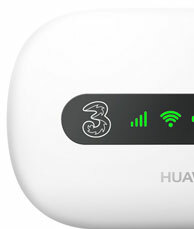 If a 4G phone moves out of range of a 4G network, you will only receive 3G speeds. How much does Mobile Broadband cost? There are two ways to pay for Mobile Broadband, Pay Monthly and Pay As You Go. Pay Monthly is ideal for frequent internet use. It’s a fixed monthly payment for an amount of data. There’s no need to top-up, as it always works and never expires. You’ll often get a lot more data for your money, and have a lower initial cost for the Mobile Broadband device. Pay As You Go is great if you don’t intend to use the internet on the go very often. There’s no monthly commitment, you simply top-up your Mobile Broadband device with the amount of data you need. It has a higher initial cost than the Pay Monthly options. If you’re interested in purchasing a new tablet and want to stay online wherever you are, a tablet with a broadband contract is a great option; particularly for the more expensive tablets. Just like a mobile phone contract, you pay a smaller amount for the tablet at the point of purchase, then pay per month for the broadband contract. Connect your tablet to the internet whether you’re at home, at the office, or out and about. Pretty much anywhere you like. You get your own secure personal connection. So you can do everything your tablet was designed to do, wherever you want to go. Perfect for reading on the train, smiling in lunch hour and sharing down the pub – you can do it all. Here is a selection of our best deals. 10 GB 3 3G 30 day rolling Mobile Wi-Fi £29.99 £16.02 Internet access in up to 16 countries with Three ‘Feel At Home’. 5GB 3G 30 day rolling Mobile Wi-Fi £49.99 £15.99 Internet access across 40 countries, without roaming charges. 10GB 3G 30 day rolling Mobile Wi-Fi £49.99 £25.99 Internet access across 40 countries, without roaming charges. Internet access in up to 16 countries with Three ‘Feel At Home’. 10 GB 3G 30 day rolling USB Dongle £9.99 (or FREE WBW) £16.02 - Three USB Dongle is absolutely FREE when bought with any Laptop or Mac in-store. (Applies to the 10GB/£16.02 per month plan). - Three USB Dongle is absolutely FREE when bought with any Laptop or Mac in-store. (Applies to the 10GB/£16.02 per month plan). 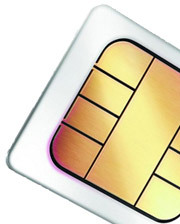 1 GB 1 4G 30 day rolling SIM Card FREE £7.50 - All Three's tariffs include 4G free of charge. If you're not in a 4G area yet it will revert to 3G, just as the other networks do. 1GB 3G 30 day rolling SIM Card £24.99 £7.99 Internet access across 40 countries, without roaming charges. 2GB 3G 30 day rolling SIM Card £24.99 £12.99 Internet access across 40 countries, without roaming charges. 5GB 3G 30 day rolling SIM Card £24.99 £15.99 Internet access across 40 countries, without roaming charges. 10GB 3G 30 day rolling SIM Card £24.99 £25.99 Internet access across 40 countries, without roaming charges. All Three's tariffs include 4G free of charge. If you're not in a 4G area yet it will revert to 3G, just as the other networks do. Streaming movies from the EE Film store does not count towards monthly data usage. When you get your mobile broadband device or SIM, it’ll be ready to use or put into your mobile broadband device or compatible tablet straight away. The first time you go online with your new mobile broadband device or SIM, you can register or activate your data. That's it and you can now go online. HOW LONG DOES DATA LAST? Your data will last until either you use it all up or the time expires, whichever happens first. HOW MUCH DATA WILL I NEED? To work out how much data you need, check out the data calculator by all major Mobile Broadband brands. To join Mobile Broadband contract plans, you'll have to pass a standard credit check. You'll also need a compatible tablet or device . If you decide to upgrade or cancel your contract you'll need to give 30 days notice .